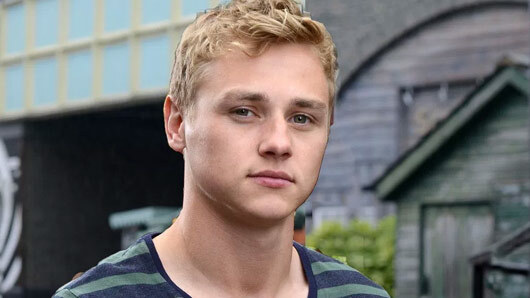 Former EastEnders and Marvel star Ben Hardy is returning to the BBC for the lead role in upcoming series The Woman in White. The Peter Beale actor will portray teacher Walter Hartwright in the new adaptation of the classic psychological thriller novel by Wilkie Collins. The Woman in White was first published in 1859 and told the story of a young art teacher who meets a mysterious and distressed woman dressed in white. She is lost and confused in London, and policemen tell Hartwright she has recently escaped from an asylum. When a woman who bears a remarkable resemblance to the woman in white shows up in Hartwright’s art class, he has a mystery on his hands. Hardy will join a star-studded cast including Taboo‘s Jessie Buckley, Game of Thrones‘ Charles Dance, Apple Tree Yard‘s Olivie Vinall, Fear the Walking Dead‘s Dougray Scott and Upstairs Downstairs‘ Art Malik. The Woman in White showrunner Fiona Sere added: [This] is a powerful, poignant story and I have absolutely loved adapting this epic for the screen. Hardy is best known in the UK for portraying Ian Beale’s son Peter Beale on the BBC One soap EastEnders. He played a large role during the EastEnders 30th Anniversary Live Week storyline in 2015, which unveiled the true identity of his sister Lucy’s murderer. Since leaving EastEnders, Hardy has appeared as Archangel in Hollywood blockbuster Marvel’s X-Men: Apocalypse.